Let’s have a closer look of the little doll below. 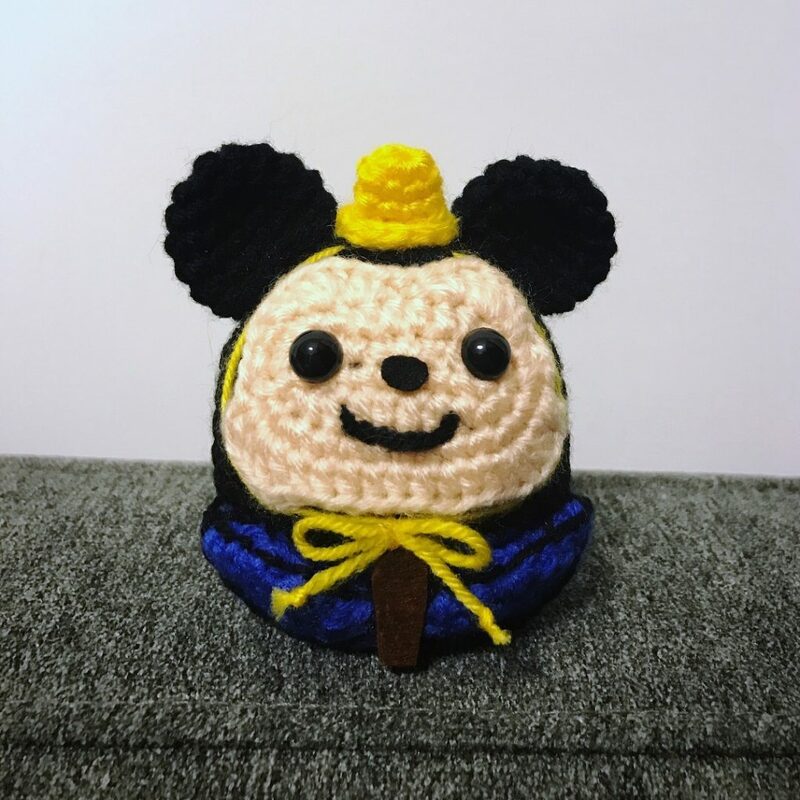 All the yarns are the leftover yarns from my Disney Tsum Tsum Amigurumi Box Set. 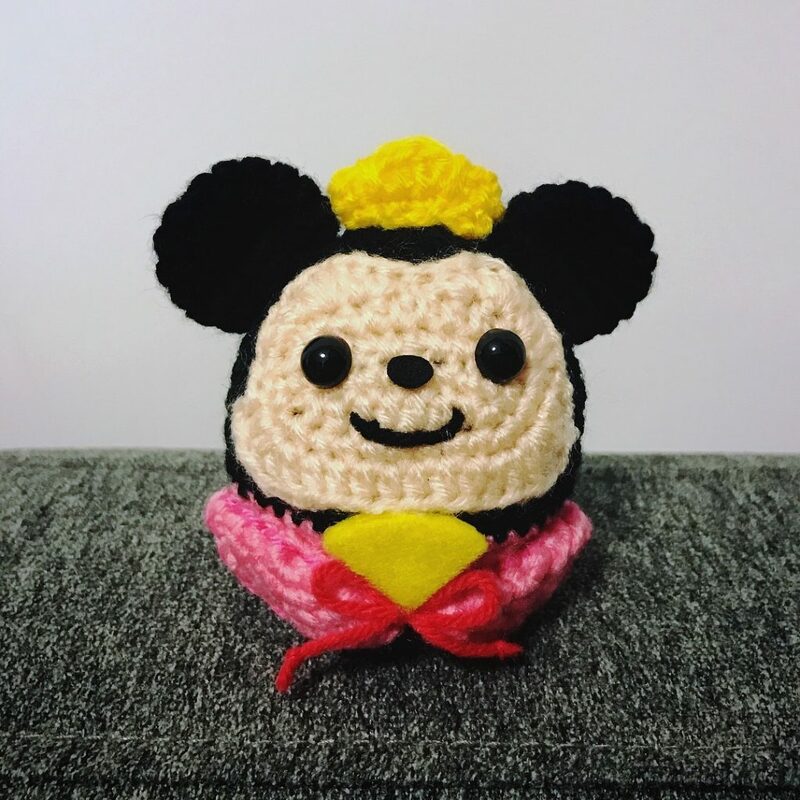 The color and yarn weight are just perfect for making all kinds of Disney Amigurumi. 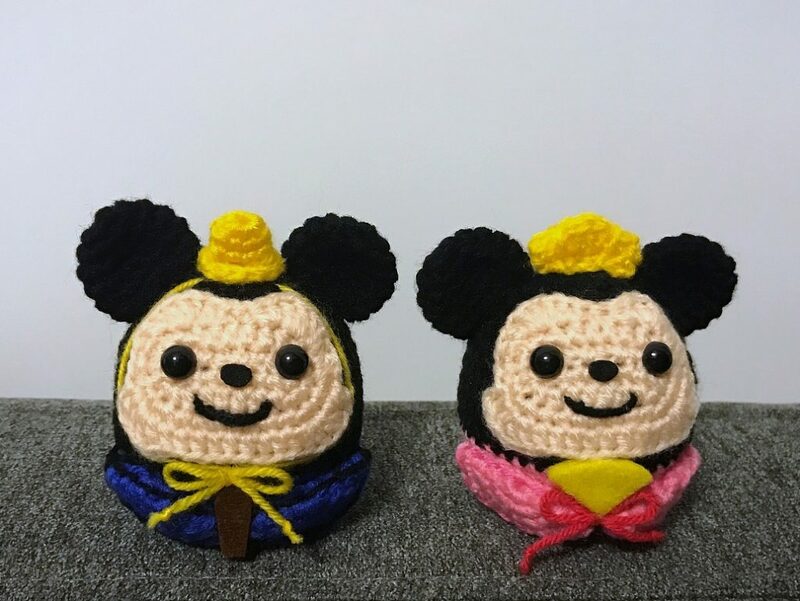 If you have also purchased Tsum Tsum Amigurumi Box Set, I suggest you to try your best to save as much yarn as you can from each Tsum Tsum. 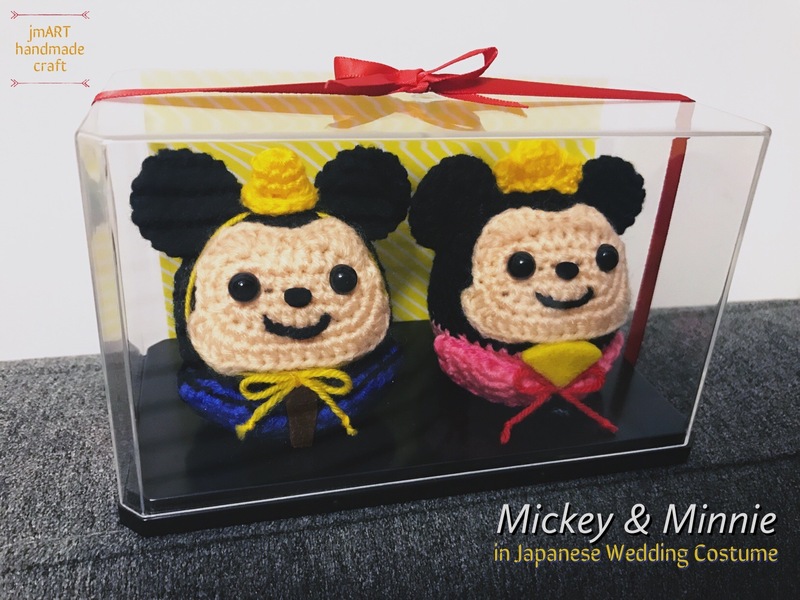 The pattern of this two Kimono Wedding Doll is from a Japanese Amigurumi Book I just got from Japan. Due to copyright issue, I can’t share the pattern of this Kimono Wedding Doll. If you are interested, here is the book cover for your reference. 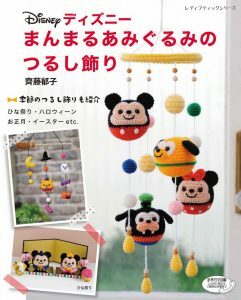 It worths to buy one and crochet all the little plushes for you friends and family!